When I don't use the computer for an hour or so, I want the display to go to sleep, but the computer should still be on, and shouldn't e.g. disconnect me from my chat sessions. How can I do this? knodi was close, but pmset sleep 180 does not mean "180 x display sleep time" it simply means 180 minutes. it will show you the current pmset settings and it will also save a copy to ~/Desktop/original-pmset.txt so you can keep it as a reference. tells my MacBook Air not to put the computer to sleep, even if the display goes to sleep. I would be very interested to know if sudo pmset -c sleep 60 (or whatever value you choose) actually works for a Haswell-based MacBook Air. Maybe not the best answer but hope this might help a bit. Not sure why you don't have the options I have. But it might be because you have a macbook air. But as you can read this also prevents the screen from dimming. Here is a temp fix. Run the command "pmset sleep 180" to change sleep from 1 to 180 (180x of the display sleep time). 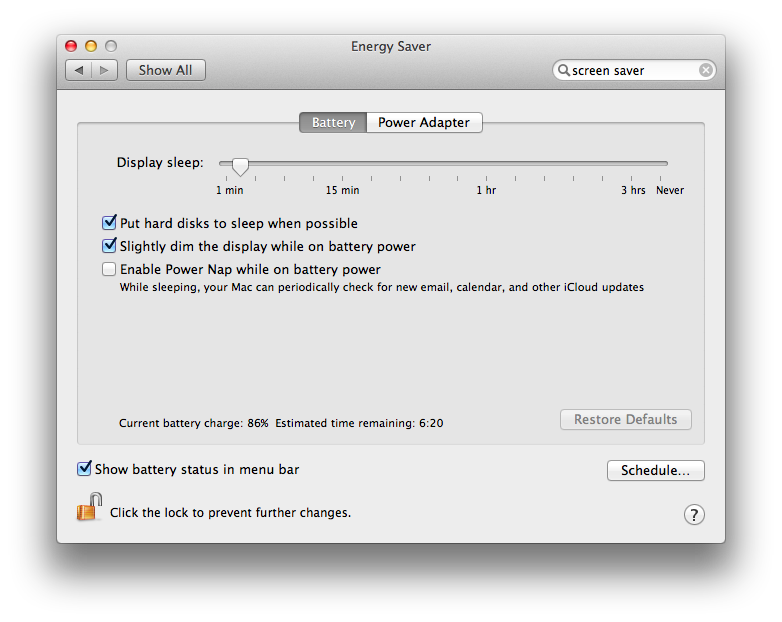 This seems to work, macbook air won't fall at the normal sleep rate, 2x of the display sleep time. Not the answer you're looking for? Browse other questions tagged mountain-lion macbook sleep-wake . Can any iOS app remotely wake a sleeping MacBook Air when the lid is closed? What is the difference between pmset and systemsetup sleep options? 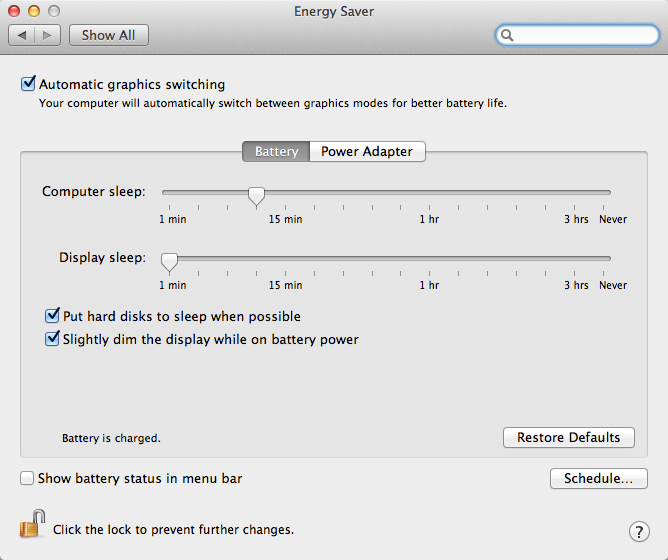 How do I keep my mac from going into sleep mode?